Tim Moore. Photo via NC House. 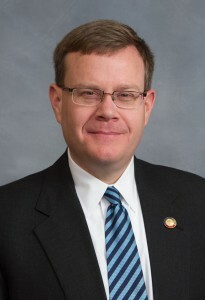 A Washington-based nonprofit is asking again that North Carolina ethics officials investigate whether state House Speaker Tim Moore got preferential treatment in a regulatory matter involving property his company owned. Campaign for Accountability leader Daniel Stevens filed the complaint Monday with the ethics enforcement office. The ethics board last month dismissed Stevens’ first complaint, which accused Moore of trying to delay penalties related to underground fuel storage tanks at an old poultry plant site that Moore’s company later sold. Stevens’ new accusations cite 2016 Department of Environmental Quality emails saying then-Moore staff aide Mitch Gillespie sought a status report about tank cleanup issues. Stevens also questions whether regulators handled the case properly.